For this wonderfully boozy hot chocolate we use a rich honey liqueur (we like to use Drambuie with its rich heather honey, whisky and spice – it’s the perfect winter ingredient – but something like Glayva, Jack Daniels honey or a similar alternative would work just as well) combined with orgeat (almond) syrup (you can buy this or make yourself) and a really nice rich cocoa powder, a tiny pinch of salt to really bring out the flavour and grated dark chocolate. Mix this all together with hot milk in a large pan, whisk well and bring to a gentle simmer. 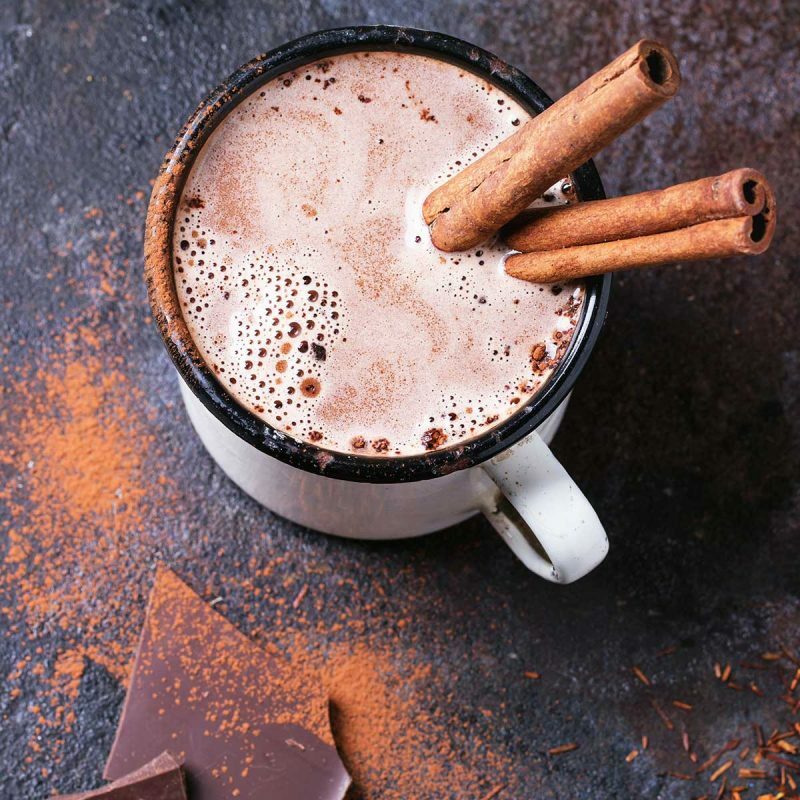 Serve in a warm mug and top with marshmallows and a dusting of cinnamon.